Situated in the heart of Puerto de Mogan, nestled amongst the little streets that lead to the harbour and less than five minutes walk from the beach. El Sirocco Apartments in picturesque Mogan, for everybody's taste: in the harbour with private garden or roof terrace, or on the beach with sea or mountain view, some with pool/heated in El Mirador, Paraiso or Golden Beach. Visit our website or call us. One is in the pretty harbour with a private roof terrace. The other two are close to the beach and marina, and have a heated swimming pool plus parking. All three have Air Conditioning, WiFi and Internet TV with UK channels. A beautiful spacious two-bedroom holiday apartment with a heated roof-top pool and a large balcony, just a five-minute walk from the golden sandy beach, lots of fabulous restaurants and the picturesque harbour area of Puerto de Mogan. A delightful one-bedroom apartment with a garden right by the quayside in the picturesque harbour area of Puerto Mogan. Apartments in the old part of Playa Mogan. Balconies and roof-terrace with great views of the beach, cliffs and the port. 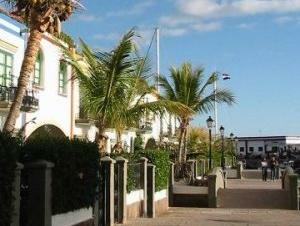 Self catering villa and apartment rentals in Puerto de Mogan for accommodation in Gran Canaria. We have beautifully furnished rental villas and apartments for your perfect vacation stay. A small, family-run apartment building with good views, about 250m from the beach. Apartments in the best locations in Puerto de Mogan: harbour apartments with a harbour view, beach apartments with a sea view, Mirador apartments with pool. All our apartments are central located with the best service. Amazing beach-fronted apartments in Puerto de Mogan and luxury apartments in other prime locations in the resort. We offer you a choice of 4 fully-equipped apartments with separate balconies. They're opposite the seashore and just a few steps from the beach and everything else you might desire on a holiday where the summer never ends. Stunning views near to beach. Quiet area with swimming pools, tennis court, bar, restaurant. 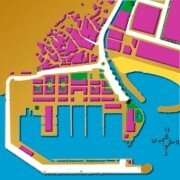 A few shops, bars & restaurants within walking distance. 3 bedroom bungalow close to amenities, 5-10 min. walk to beach and no steep hills or steps!